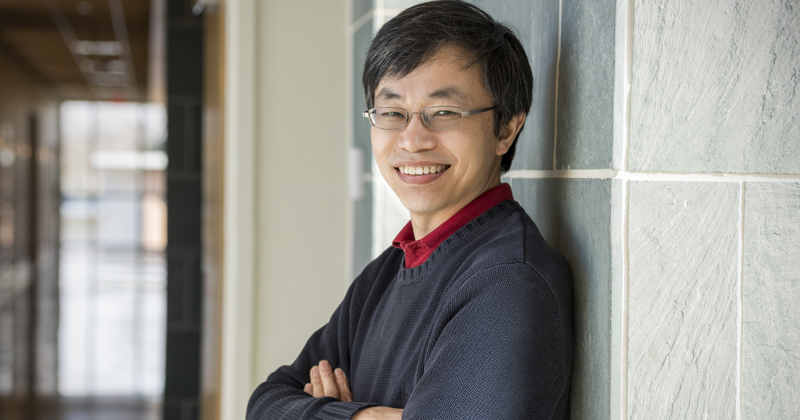 Yushan Yan, Distinguished Engineering Professor in chemical and biomolecular engineering and Associate Dean for Research and Entrepreneurship in the University of Delaware’s College of Engineering, has been named a Fellow of the National Academy of Inventors (NAI). He was one of 148 renowned academic inventors named to NAI Fellow status on Dec. 11, 2018. Election to NAI Fellow status is the highest professional distinction accorded solely to academic inventors who have demonstrated a prolific spirit of innovation in creating or facilitating outstanding inventions that have made a tangible impact on quality of life, economic development and the welfare of society. Yan is an expert in electrochemistry and electrochemical energy engineering, the study and application of conversion of electrical current and chemical reactions. Yan has been an inventor on more than 25 issued or pending patents and is the founder and co-founder of several startups including W7energy, which was founded to design, develop and manufacture platinum-free fuel cell membranes. He introduced the use of zeolite minerals into membranes for desalination, or removing salt from saltwater. A startup company, NanoH2O, was formed to commercialize his nanocomposite desalination membrane technology and was acquired by LG Chemicals in 2014. “Professor Yan’s pioneering work in electrochemical energy conversion is currently enabling the next generation of fuel cells, electrolyzers, flow batteries and solar hydrogen generators” said Brad Yops, director of UD’s Technology Transfer Center, who nominated Yan for fellowship of the NAI. Through these and other inventions, Yan is doing his part to engineer a more sustainable future. Today, much of Yan’s research focuses on fuel cells, which convert chemical energy into electricity to power cars without producing pollution. Automotive fuel cell membranes, currently made of a polymeric material called Nafion, require a catalyst to spur power-generating electrochemical reactions. Often this catalyst is platinum, a precious metal, which can stand up to the acidic environment inside fuel cells. Yan is developing membranes made with a Nafion substitute that shifts the environment within fuel cells from acidic to alkaline. He has termed them as hydroxide exchange membranes. “These new membranes enable cheaper fuel cell components including little or no precious metal catalysts, making fuel cells more affordable,” he said. Yan leads and contributes to multiple projects funded by the Department of Energy, including a recently announced project funded by ARPA-E to make fuel cell stacks that can work with ambient air. Yan joins four other UD engineering professors who have achieved NAI Fellow status: John Elias, professor of electrical and computer engineering (2013), Babatunde Ogunnaike, William L. Friend Chair of chemical and biomolecular engineering (2014), Norm Wagner, the Robert L. Pigford Chair in chemical and biomolecular engineering (2015), and Dennis Prather, Engineering Alumni Professor of electrical and computer engineering (2017). Wayne Westerman, who earned a doctoral degree in electrical and computer engineering at UD, was selected in 2013. The late Richard Heck, a Nobel laureate and professor emeritus of chemistry at UD, was selected in 2015. Former UD president Patrick Harker was selected in 2012. Ogunnaike has worked closely with Yan since 2014. Yan received his B.S. in chemical physics from the University of Science and Technology of China and doctorate in chemical engineering from the California Institute of Technology. He also studied heterogeneous catalysis at the Dalian Institute of Chemical Physics of the Chinese Academy of Sciences. He worked for AlliedSignal Inc., as senior staff engineer and project leader before beginning his academic career at the University of California Riverside. He joined UD in 2011. He has more than 200 published articles, which have been cited more than 21,000 times, according to Google Scholar.